James Turco is an ambassador of fine art. 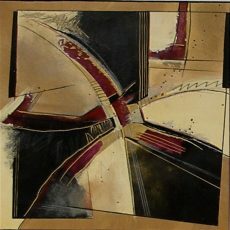 Since the early 80's he has endeavored to express his gifts through countless works in various styles and mediums. 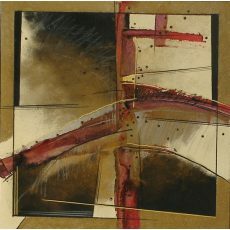 He attended college in Colorado where he graduated with a degree in Design with emphasis in composition and color. Printmaking was also emphasized where various relief process where used. His accomplishments earned merit in numerous shows throughout college. His work having both regional and universal appeal has been seen in various exhibits including: Art Expos in New York, Los Angeles, Miami, Highpoint, North Carolina, and Art Asia Hong Kong. He develops unique paintings done on both canvas and paper. The process includes materials composed from textured papers to gauge metals, which when illuminated by color give depth and expression.